As a marketer, it is for obvious either you run against time or battle with the same to cope with the PPC marketing. Amidst this bedevil game of internet advertising, a lot of marketers often get pressed when it comes to optimization of AdWords. Moreover, the endemic notion that the entire process of optimization is time-consuming makes the marketers procrastinate more often than not. If you are a victim of the same feeling, it is high time you debunk this myth. Our team of experts has come up with unbelievable tips to help in this crisis. Also known as search query report, this tool happens to be the overseer of the PPC marketing campaigns. Use this tool to get hold of the new and relevant keywords for your advertising. SQR is also extremely important to for attuning the existing negative keywords. Hence, using the SQR tool will definitely help you find the essential keyword-related report for maximum optimization of your AdWords. However, this may require a daily monitoring, which is yet again time-consuming. In such a case, our company is always there to tackle all the nitty-gritties related with SQR. Prospects and even the potential customers make their final purchase decision based on the rank of SERP. To get high on SERP, you need to add Ad extensions for attracting more clicks on your ads. Including this very extension will add precedence and, within no time it will pave the path for direct interaction with the clients. Practicing this will inadvertently increase your quality score on the online marketing forum of PPC. Segmented Reports is a distinctive feature which you must get familiar with in order to optimize the AdWords. This feature can help you utilize the individual Ads followed by keywords from the segmented reports according to the desired schedule. Talking about the time, you can segment for a day or specific time. For better comprehension, you have the flexibility to gather all the data together to determine the number of clicks and other relevant data. With this tactic, you can adjust your bids for the specific days and time. Your foremost attempt must be to bring your ads on the First Page bid estimate. However, you need to do this on a regular basis to get feasible results. Before drawing a conclusion, focus on the before-after performance. Our digital marketing agency aced the tactic of bid scheduling. If you feel the need, you can taste our expertise for a better result. Setting up a separate campaign is mandatory to spy on your competitors’ terms. Fret not! This is no crime, rather a quick-fix to make your AdWords optimization more effective. The next thing as a marketer you need to do is taking account of the key terms and bidding on the same. Create a catchy ad using the phrases, but keep the budget lower than the usual. Once you are done, wait for a considerable period to reap the best results. 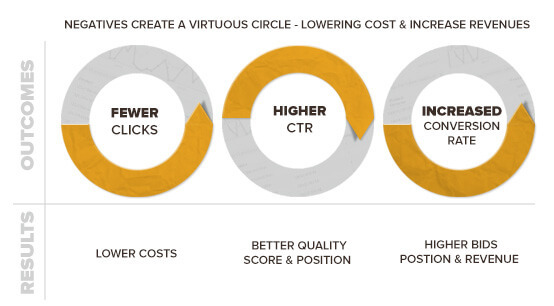 To have a smooth take off on your pay-per-clicks, you have to focus on your landing page. Implement the best possible scripts as and when needed. Pay heed for quality and informative landing page with proper to call to action. You can rely on our digital marketing agency for this part. We promise not to disappoint you. Additionally, with trial and error method you need to weigh all the used keywords. This will help you to ideate better in terms of converting and non-converting keywords. Many marketers often seem to ignore this part for time crunch. 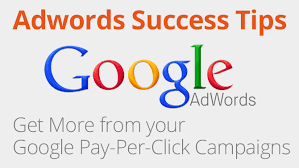 If you have the same issue, take the aid of our PPC experts to get hold of result-yielding keywords. This is another essential criterion you need to stay hooked on. At a particular interval, you must consider all the details of your campaign setting. It gives a vivid picture of the entire conversion funnel. That’s a wrap. Hopefully, these go-to tips will assist you to optimize your AdWords campaigns in the truest sense. If you are managing multiple accounts simultaneously, it can be daunting to address all the above-mentioned factors. Stay stress-free as our company assures you to proffer all the optimization tactics of AdWords at a competitive budget. Get it done within real-time. For more information, contact us right away.